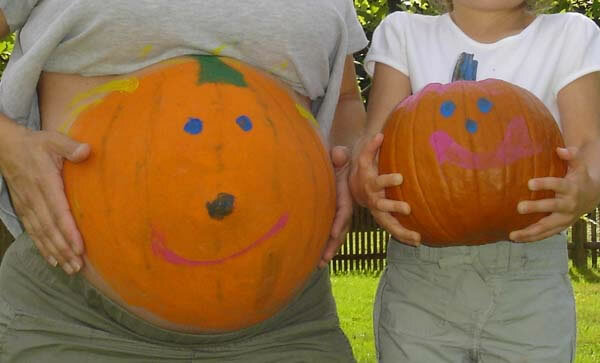 Halloween Bellies! - Tired Of Being Pregnant? Me Too. 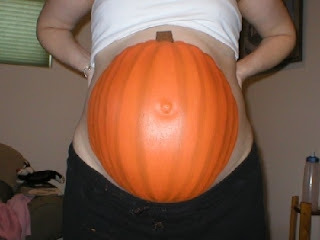 I've had a lot of emails about painting the belly for Halloween. 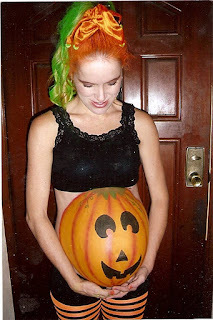 I'm going to do it for fun, starting this weekend... I'll post photos I promise! I have found out that the best paint to use is FDA approved (if you are State side) "FACE PAINT." Face Paint is safe for the skin easy to use and even easier to wash off. There are also plenty of YouTube videos of painting How tos. I have posted some Pumpkin Bellies below to show very basic designs, compared to my "Beautiful Bellies" post. Enjoy and good luck with your art project! I like how basic this one is, yet still has the contrast lines going through for depth. I think I would practice on paper first for sure! I like the yellow background, it really looks like it is illuminated. I like this one because it looks like either I or her daughter did it. Cute and simple! 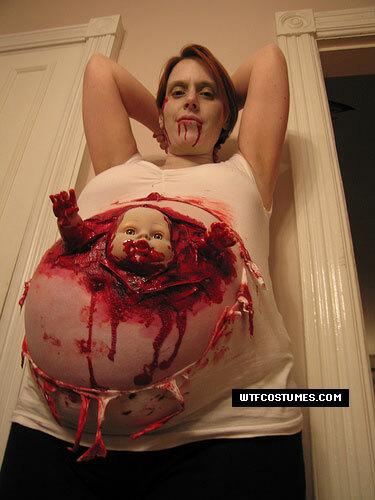 WTFcostumes.com is right... her helper had to be a professional! 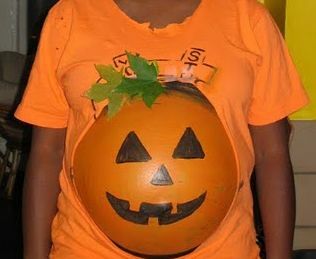 This is a winner, getting a colored shirt and cutting out a belly hole. That's perfect. 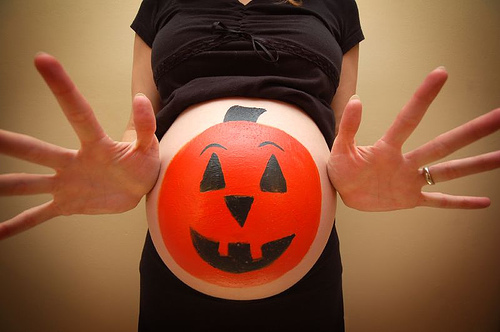 Or at least what I am shooting for. 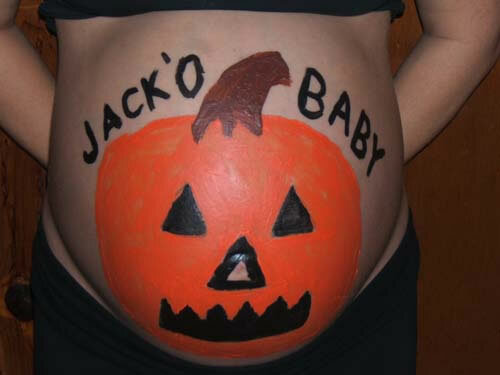 I wonder if she used a stencil? I'm going to go to the craft store and see what all I can find that is safe for face and body. 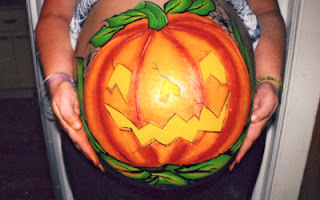 I am also thinking a stencil set may be necessary since my husband an I are not artist. Happy Painting! why are they all pumpkins!?! ?